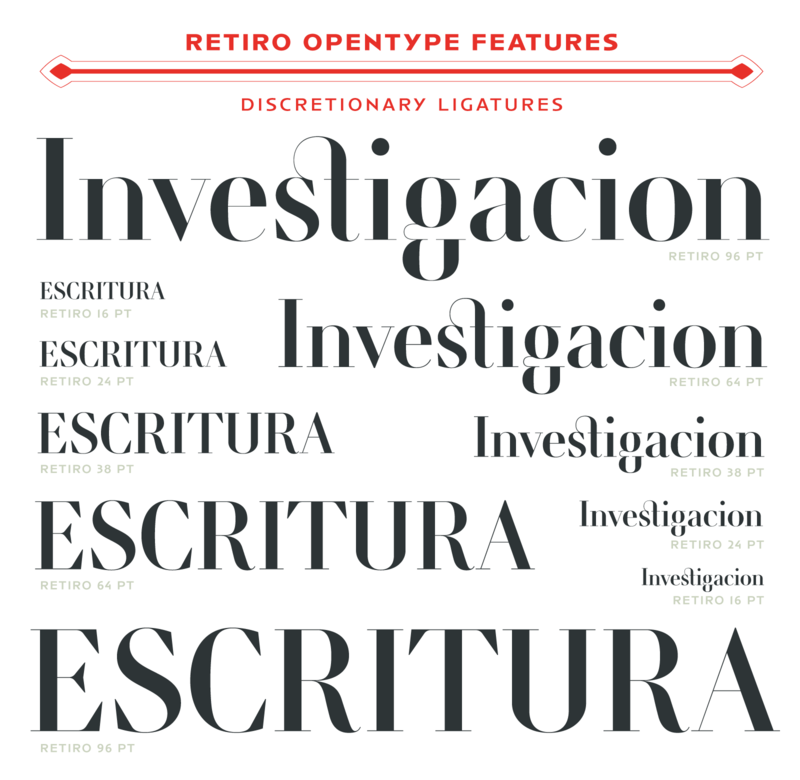 Retiro by Jean Francois Porchez: Full of life Hispanic Didot in 5 optical sizes. 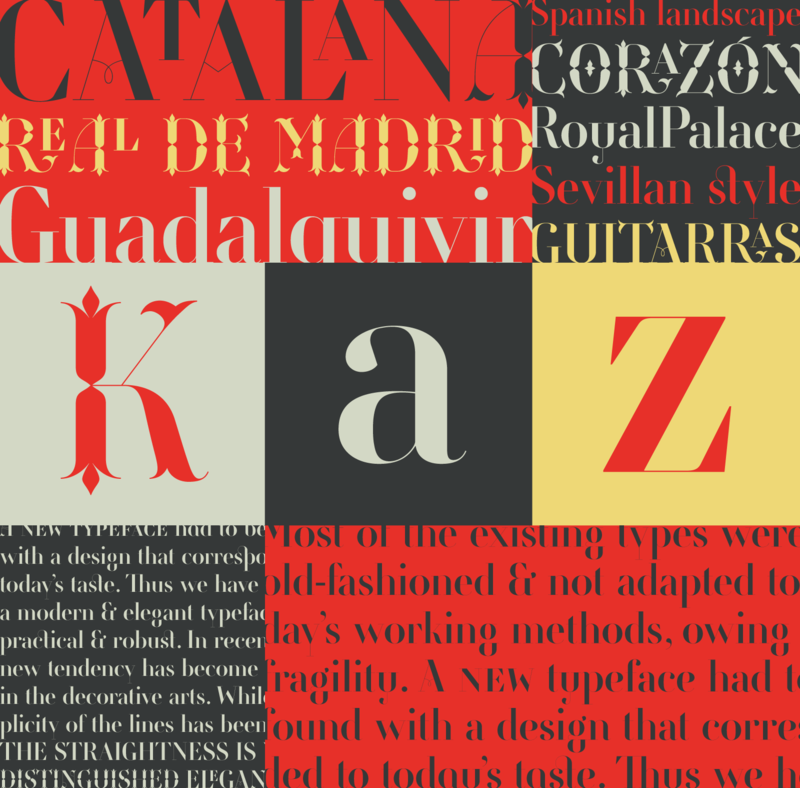 In 2014, it was necessary to further revise “the typeface before its launch at Typofonderie. 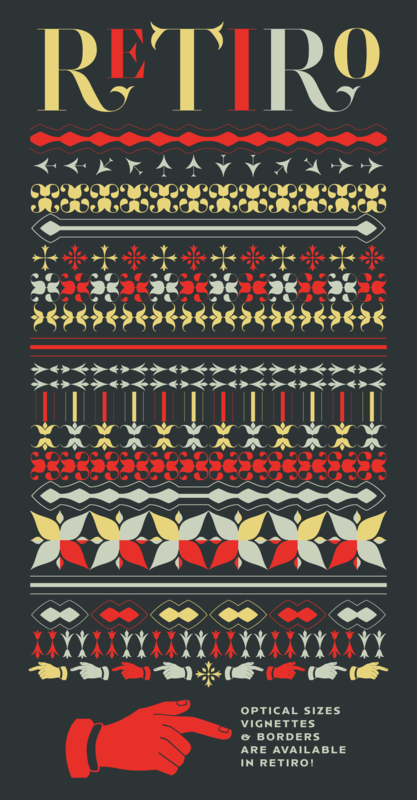 In order to keep its originality, the unique weight was retained, but complemented with optical size variants to set highly contrasted headlines into various sizes, visually balanced. 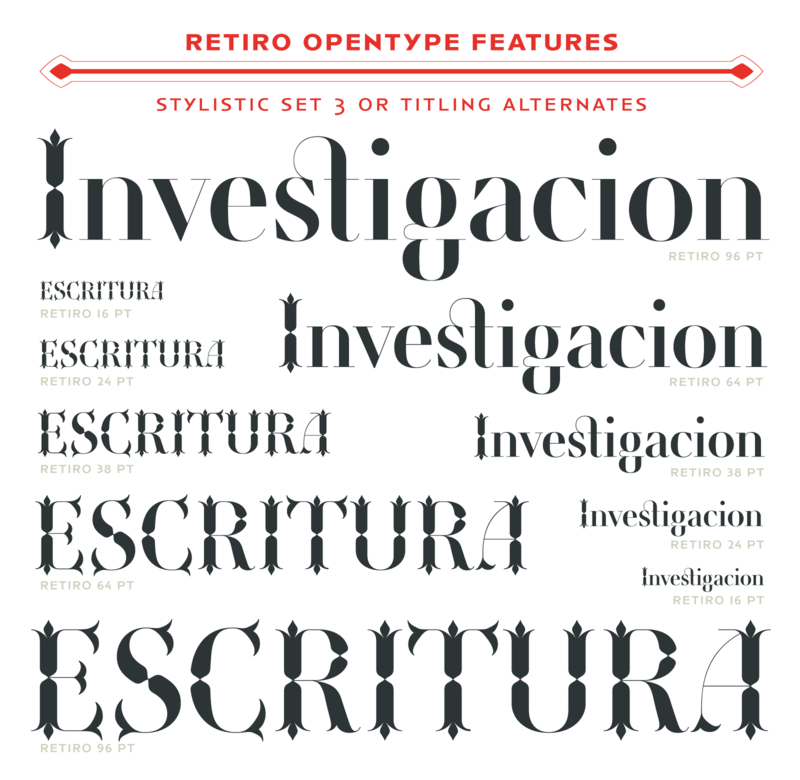 The Retiro Pro glyph set is available in 5 optical sizes and offers 1100 signs and variations we have refined to the extreme for several months. 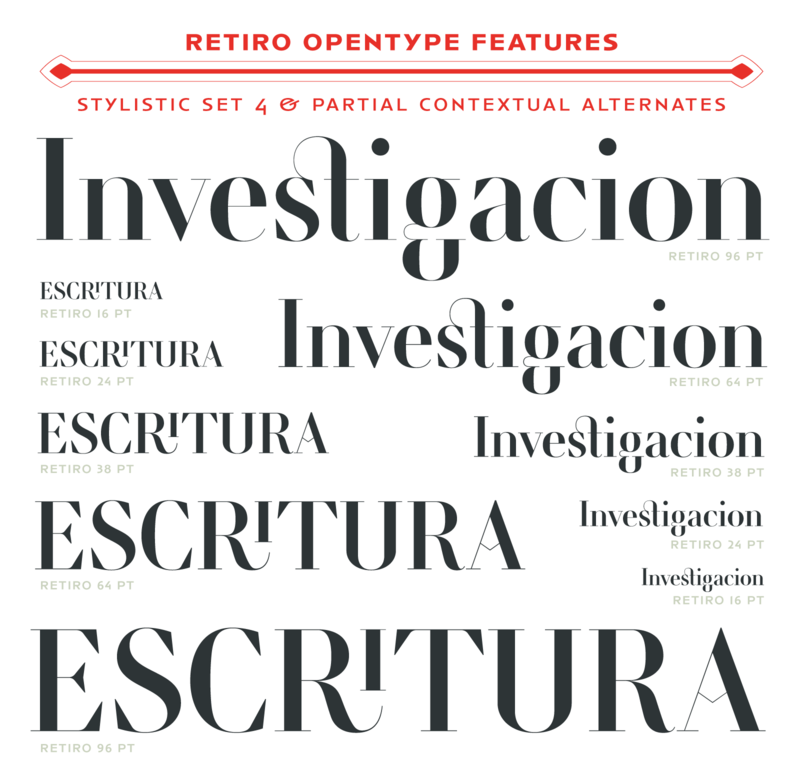 Via multiple OpenType features combined to infinity, the Retiro offer to your graphic projects a unique typographic identity, but never austere because “multiple” and full of life. 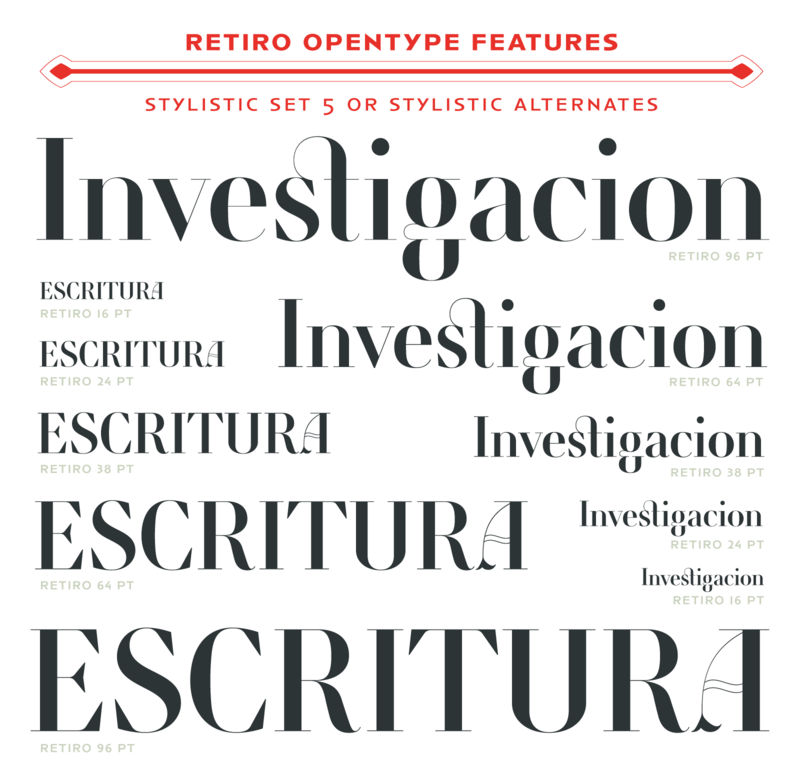 Retiro designed by Jean François Porchez is exclusively available at Typofonderie, in a unique weight in 5 optical sizes. 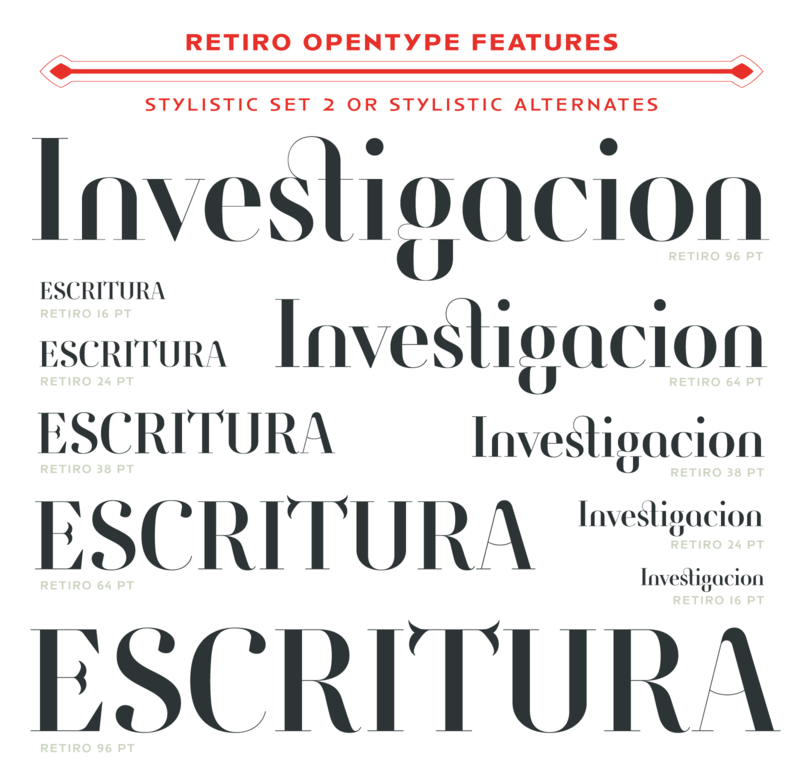 Over the years, the team that worked on the Retiro has included Mathieu Réguer and Lucie Alvado. 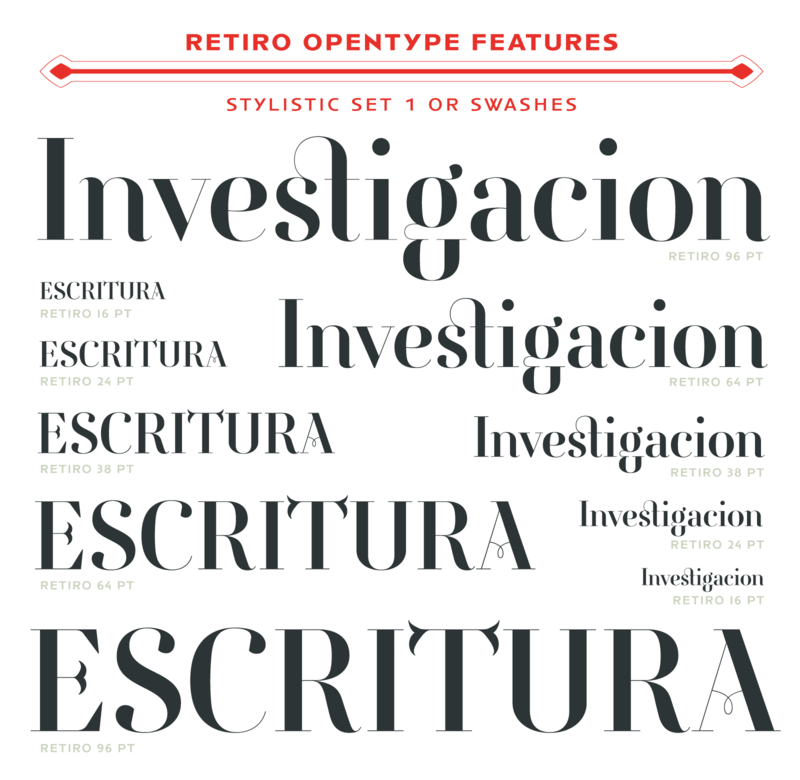 More than 1100 glyphs, including extended languages support, 4 sets of figures, various set of capitals, lowercases, superiors, ligatures, alternates, swashes, titling variants, stylistic sets, contextual alternates and ornaments. 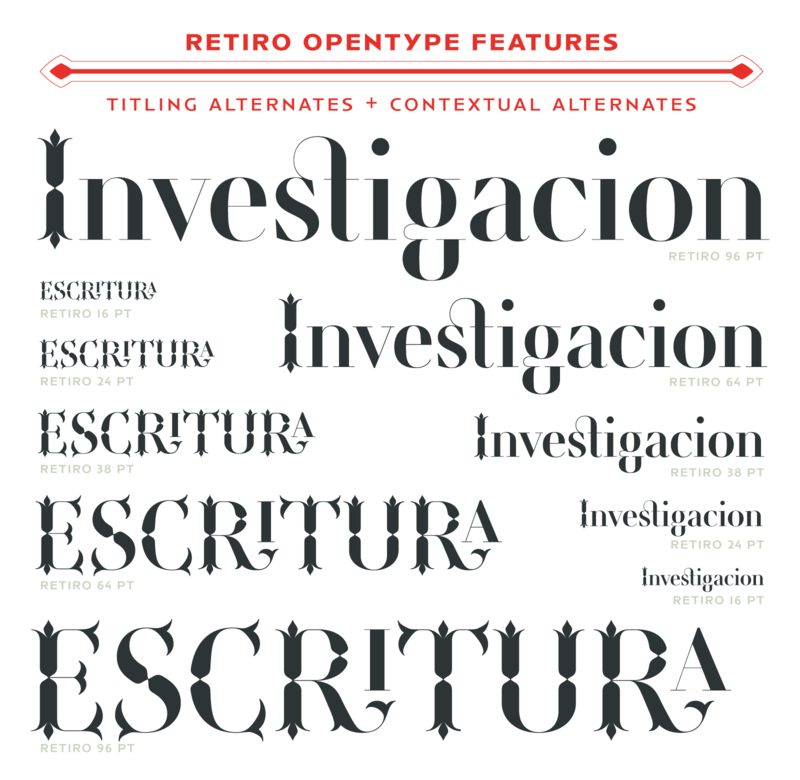 Download the Retiro specimen in pdf format for full details of these Advanced typography functions.